“This tree is famous,” declared the University of Costa Rica professor. “There’s not another like it in the entire country”. The tree he was referring to is a chilamate (Ficus tonduzii). 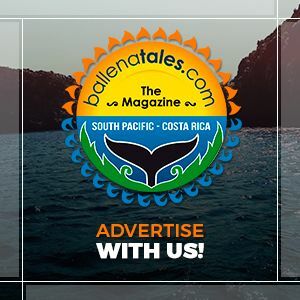 Its photo has appeared on the front cover of The Tico Times, the front page of the tourism section of La Nación, and in countless other periodicals. At about 15 meters (49 feet), the chilamate isn’t particularly tall, and, though quite wide, we have many other trees that are larger in girth. What sets it apart is the roots. Though many species of trees have buttress roots the ones on the Hacienda Barú chilamate are enormous, the tallest being 2.37 meters high (7 feet 10 inches). When in bloom and fruiting, the chilamate is like a magnet for wildlife of all kinds. Small, stingless bees pollinate the flowers and are themselves consumed by numerous species of birds. Many other kinds of birds, as well as bats, monkeys and coatis eat the small round figs directly from the leafy boughs. Those that fall on the ground are quickly picked up by pacas, agoutis and peccary. All of these birds and mammals play an important role by dispersing the seeds in their feces. The seeds germinate, usually in a sunny place, and the tree grows rapidly, reaching its full height in a couple of decades. Some people have estimated the Hacienda Barú Chilamate to be as much as 300 years old. I am not a botanist, but I seriously doubt the validity of that estimate. Daniel Valverde first saw the chilamate in the mid-1950s when he lived on Hacienda Barù. At that time, it was much smaller than today and growing rapidly. When I first saw it in 1972, it was a young vigorous tree. It was about its present height, and the buttress roots were only slightly higher than my knee. Though the tree remained the same height, the roots grew during the next 20 years until they reached my chin and, since the turn of the century, have shot up to their present size. All of us, who have known the famous tree for a number of years, agree that it is probably around 80. Posted in academy, Costa Ballena, Costa Ballena, Costa Ballena, Initiative, Natural Attractions, Natural Attractions, Plants & Trees, Plants & Trees, Tourism & Entertainment and tagged Costa Rica, hacienda baru, tourism, trees, Tropical Trees.